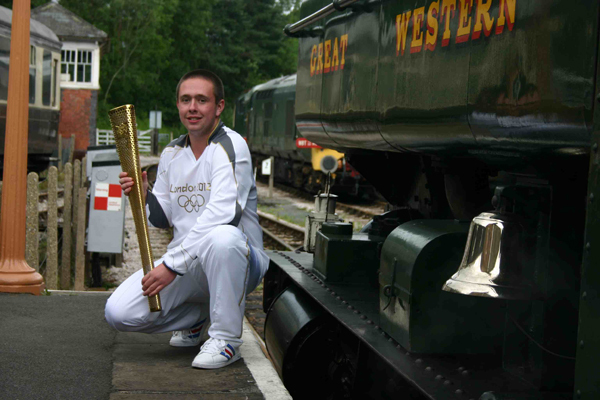 Harry Baker is a young volunteer on the South Devon Railway. He works with the Worcester Locomotive Society and in the SDR workshops, and is currently a cleaner, hoping to work on the footplate. 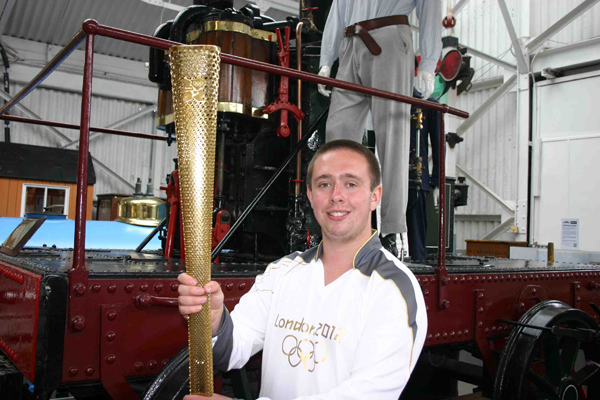 On Sunday 20 May, the second day of its tour around Great Britain, Harry carried the Olympic Torch through Paignton, from Newbarn Farm to Paignton Holiday Park. He had been nominated to carry it because of his work on a scheme run by Scope, the charity for people with cerebral palsy, near where he used to live in Dorset. 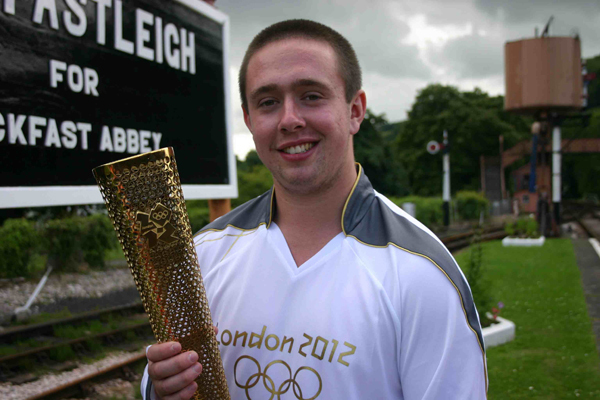 Harry visited the South Devon Railway today, 01 July, with the torch that he carried, as part of his work continuing to support Scope. A number of surprised and delighted visitors were able to hold the torch themselves!